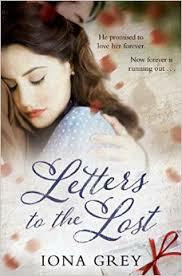 1943, in the ruins of Blitzed London…Stella Thorne and Dan Rosinski meet by chance and fall in love by accident. Theirs is a reluctant, unstoppable affair in which all the odds are stacked against them: she is newly married, and he is an American bomber pilot whose chance of survival is just one in five…He promised to love her forever Seventy years later Dan makes one final attempt to find the girl he has never forgotten, and sends a letter to the house where they shared a brief yet perfect happiness. But Stella has gone, and the letter is opened by Jess, a young girl hiding from problems of her own. And as Jess reads Dan’s words, she is captivated by the story of a love affair that burned so bright and dimmed too soon. Can she help Dan find Stella before it is too late? Now forever is finally running out.